Hammarbya paludosa, commonly known as Bog Adder's Mouth, is circumboreal, occurring in Alaska, Minnesota, Canada, Europe, and Asia. 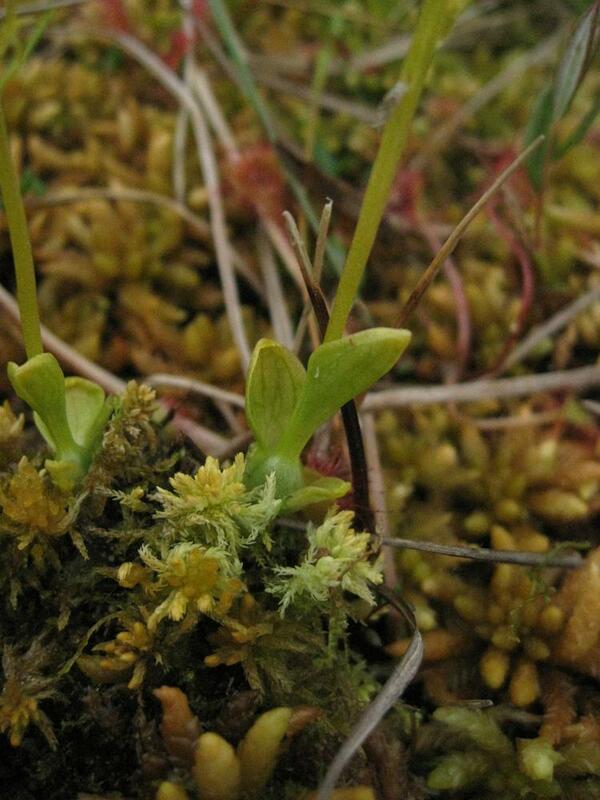 This small, inconspicuous plant grows in conifer swamps, wet coniferous forests, tundra, sphagnum bogs, mossy fens, and muskegs. The stem is swollen at the base into a round pseudobulb. 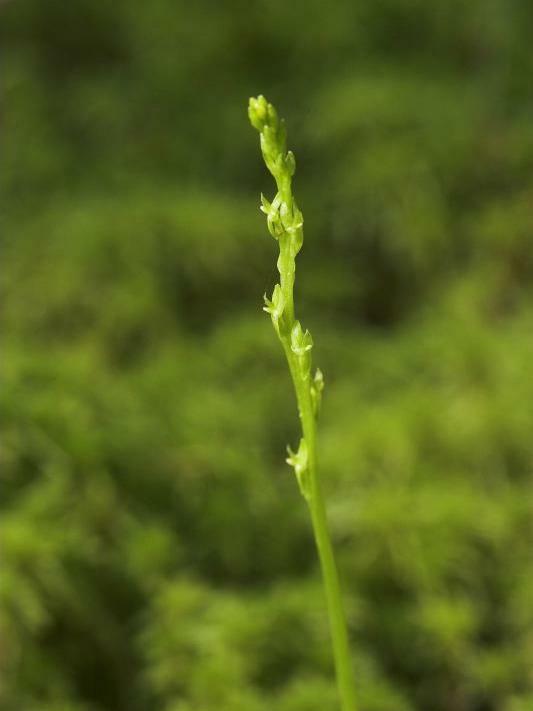 Foliar embryos are produced at the tips of the two to five basal leaves. 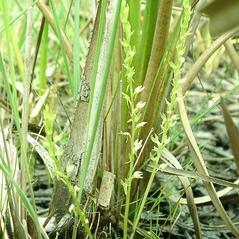 The long, narrow raceme has tiny, yellow greenish flowers. The sepals are bent backward, as are petals. 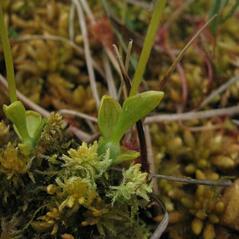 The labellum is trowel-shaped, has dark green veins, and is positioned uppermost in the flower. 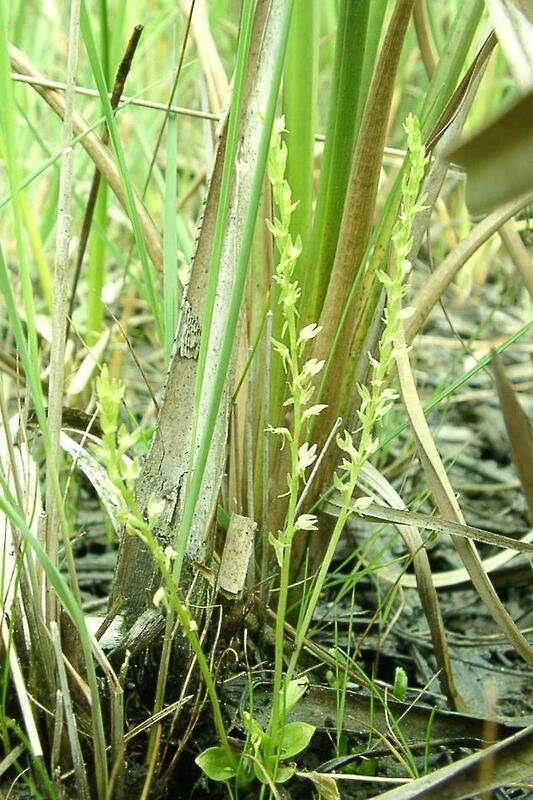 Hammarbya paludosa is considered globally secure although it does face threats in North America. 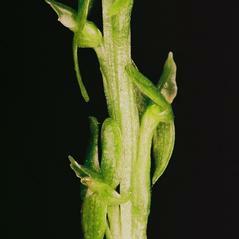 This orchid is pollinated by Phronia digitata, a fungus gnat. After visiting the flower the observed fungus gnat had pollinia attached behind its mouthparts on the thorax. The fungus gnat may use it’s proboscis to go over the column to access nectar and acquires pollinia on its anterior ventral thorax. Pollen is then transferred to the stigma of the next flower visited. 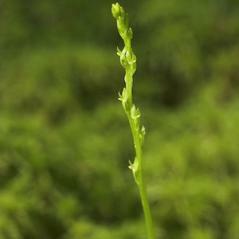 The orchid has no true roots and is dependent on fungi in its rhizome to obtain nutrients. The bulbils do not carry fungi from the mother plant and must be infected by the appropriate fungus in the soil in order to develop into a new plant. 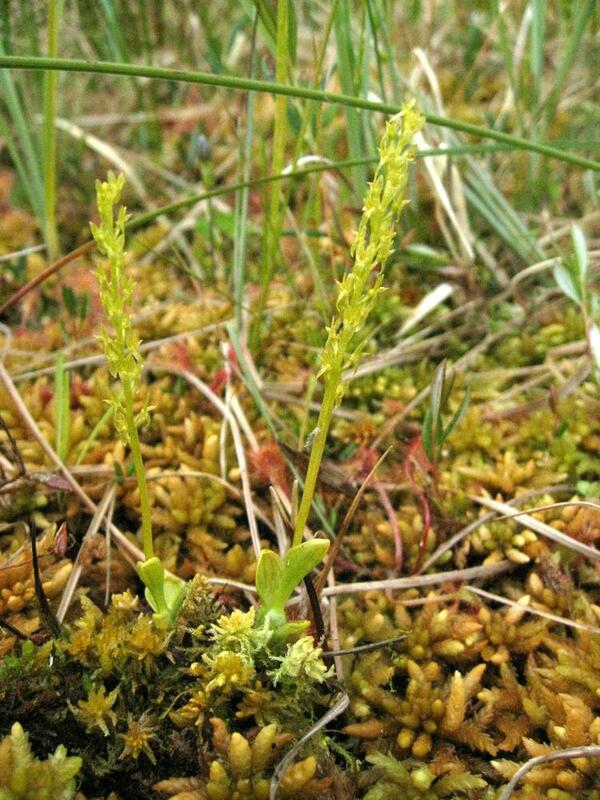 In Europe, the fungal partner isolated from protocorms of this orchid has been identified as a member of the Tulasnella genus. 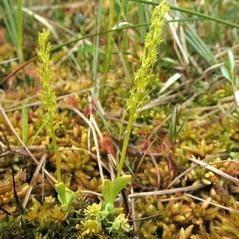 Fungi in this genus are frequently associated with North American orchids. 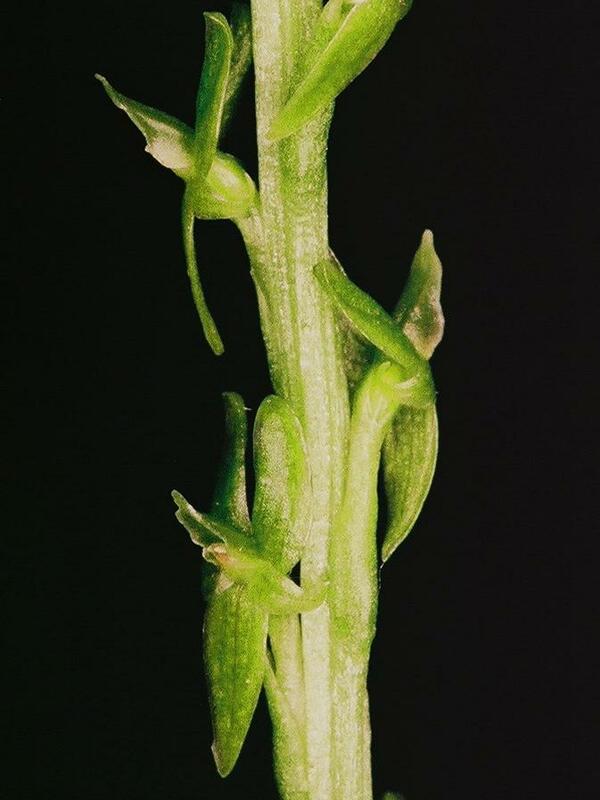 This orchid can also reproduce asexually. Foliar embryos arise directly from leaf tissue. When the leaf drops to the ground, each foliar embryo can grow into an new plant.